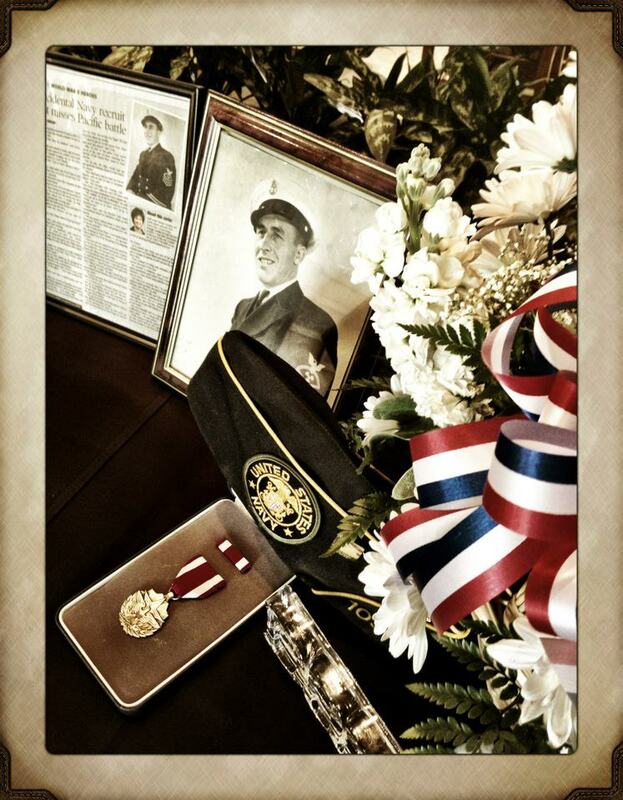 Yesterday we celebrated the life of my Grandpa Roy. He lived to be 101 years, 9 months, and 5 days old – a very rich and full life. I had the privilege of sharing some of my experiences and lessons learned from the 47 years I was blessed to know this amazing man. Grandpa was not a tall man, but he was a strong man. 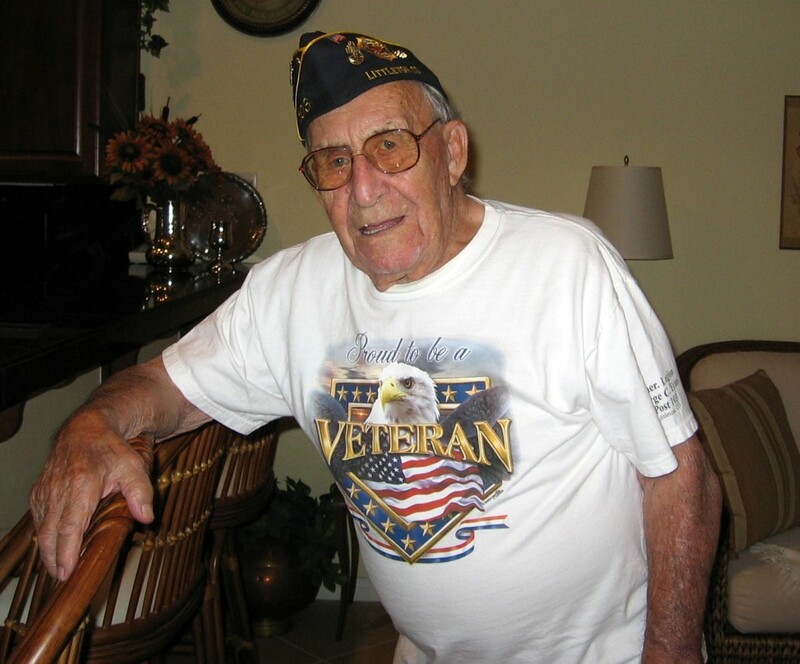 I never knew him when he was one of the top wrestlers in his weight class in the Pacific fleet, or when he performed in the wrestling show down at the Long Beach Pike back in the 1930’s – BEFORE World War II – but I’ve heard stories. Lots of stories. When we would work on projects together out in the workshop he built in Hemet, California or the one in the basement at his Denver house, I’d get to hear about his time in working in the machine shop on the repair ship USS Medusa. 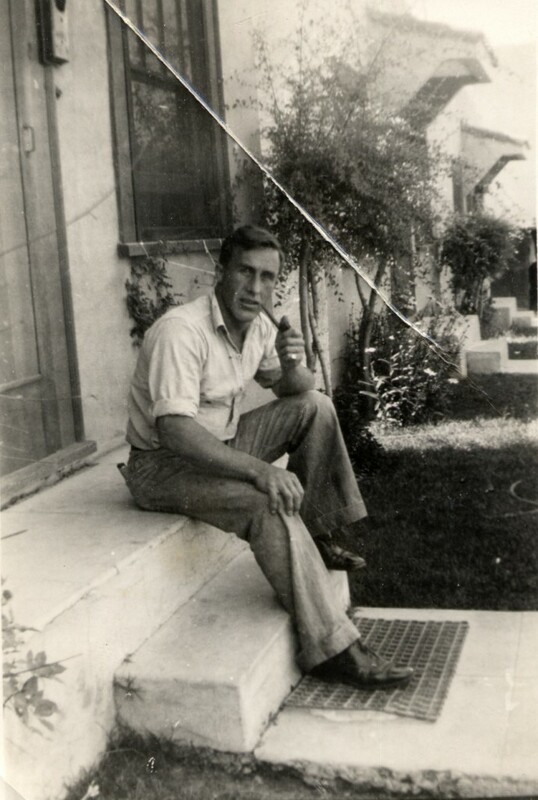 Later, as his characteristically strong hands became shaky an unable to work with the tools he so dearly loved, I would travel to Indio, California for visits. We’d sit at the breakfast table drinking coffee and there would be more stories to share. Stories about growing up in Marion, Iowa, where at 10 years old he learned how to rebuild batteries and repair cars in his father’s garage. I’d learn about the summer he spent living in a tent down by the river at age 13, and that one late Christmas Eve when he banged on the store window to get the proprietor to let him in so he could buy presents – the only presents his family would receive that year because he was the only one who had a job. As a teacher I know that so much of what we learn, we learn through stories. From grandpa’s stories I learned first hand what life was like in a world of steam locomotives and Model T’s. Where your word and handshake carried more weight than the most ironclad, notarized contract. A world where common sense was…well, a lot more common. From Grandpa I learned the importance of self-reliance, hard work, and always doing your best at any job regardless of the pay – because it is the right thing to do. I learned that life isn’t easy, but it can be fun if you take it moment by moment, keep smiling, and have a sense of humor. Any of you who had the chance to meet grandpa and ask him, “How are you doing?” Got to experience his sense of humor. His comebacks and one liners were legendary. Even the last week I saw him, when I walked in his room and said, “You know Grandpa, you’ve looked better.” He couldn’t really speak, but he didn’t have to – he just turned slowly and gave me that classic “look” – proving he was still there and sharp as ever. I am truly grateful for all the time we spent together. For the many stories told, lessons learned, and words of advice given. Thank you Grandpa for sharing your memories and experiences, your cheerful, positive attitude, and for being not just a wonderful grandparent, but also a good friend. As he told me on countless occasions, “You know, I’ve had a pretty good life.” Yes, you did Grandpa. Yes, you did. After a little Twitter conversation I had this evening, I felt the need to reflect in a few more than 140 characters. Opening a new box of Crayola crayons. Flipping through the pages of a dusty old World Book Encyclopedia. A paper handout fresh out of the ditto machine. I wonder what smells our students will remember? The Museum of Modern Art in New York has set up a new place-based learning system for their exhibits. Anyone with an iPhone or iPod Touch can access audio programs for selected art works and various places around the museum. There’s even a section for kids! Visitors to the museum use the free wireless Internet to access the site and the audio. I was able to connect to the site using my wireless at home and pretend I was touring the museum. Although I’m sure the experience would be richer if I were standing in front of the actual exhibit as I listened, I found the audio clips – especially the ones recorded for kids – to be interesting and engaging even without the visuals. If you want to check it out for yourself, visit www.moma.org/wifi/audio/. Since the site was designed for iPhones it may look a little weird but you’ll get the idea. It may sound weird, but I love going to technology conferences. Each year I get to go to CUE (Computer Using Educators) in Palm Springs and this year I plan to pay my own way to go to NECC 2008 in San Antonio – just because I feel it’s important to be there. When I first started attending these events, it was all about the stuff. What were the coolest new tech toys? What new software titles did I want to add to my wish list for next year? I also did my best to religiously attend any and all sessions I could. Tell me more. Tell me more! I was a sponge. Lately, my focus has seemed to shift away from the toys and all the information and focus more on the people. Networking! That’s what it’s all about now. I’ll gladly pass on a session to spend time talking and sharing ideas with a fellow educator. Sometimes I get to be the teacher, other times the learner. And sometimes, if I’m really lucky, both of us build upon each other’s thoughts and ideas and together we come up with something totally new. We’ll also share Twitter and Skype names, blog and wiki addresses, and promise to stay in touch online. The problem is, as my network grows and I start following more and more awesome educators, I hear about all these other great conferences that I would love to attend and speakers I would love to hear. For example, even though I’m here in California, I’m jealous of all you teachers enjoying FETC right now. I’m bummed I missed hearing Jeff Corwin speak – sounds like it was great! Unfortunately time, distance, and $$$ all prevent me attending. Good news. Thanks to some cool online tools I can now attend some of these conferences virtually! Last night I was chatting with Diana Laufenburg, who will be presenting at EduCon 2008 this Saturday. Even though I can’t be there in person, I can watch her presentation live on UStream. 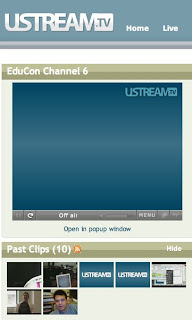 In fact, EduCon has set up 8 Ustream channels and plans to webcast every presentation! Earlier this year I was able to participate in the K12 Online Conference. This conference was completely virtual. All the sessions were webcast live or posted as pre-recorded podcasts with live chat discussions. Discovery Education will also be presenting their own virtual conference on Saturday, February 2nd. For this one you can choose to attend in person with other educators at some of the satellite sites around the country, or participate from the comfort of your own home. Be sure to let Hall Davidson know if you’re listening to his keynote address in your pajamas! Is this the future of professional development? I’m not sure, but its nice to know that if I can’t be there in person that don’t have miss out completely. That’s what happened here at school today. Our first grade class is studying marine mammals and their teacher asked if I could help her find some live web cams of marine life. After a quick Google search I found a live beluga whale camera from the Vancouver Marine Aquarium and the Shamu Cam from Sea World, but the surprise came when I found the live sea otter camera from the Monterey Bay Aquarium. Shortly after the video started streaming I could see the otters swimming around in their pool, but then I started to hear someone talking. My timing must have been just right because that happened to be the time that the trainers came out to do a short 15 minute education program about the otters. I ran over to the first grade room and quickly got the live video up on their screen. The kids sat there and watched as the trainers fed and weighed the otters. They explained what they ate and discussed otter behavior. The talk was just perfect for 1st grade. Sometimes you get lucky. I had no idea that their live cam also had sound. 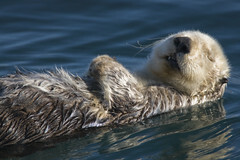 After checking the web site I found out more about the Monterey Bay Aquarium live cams and interpretive programs. Maybe you’ll find this information useful in your classroom. If the times for the live presentations don’t work for you, they also have many links to pre-recorded videos as well. Do you remember the Disney classic Mary Poppins? I just happened find it on the ABC Family Channel over Christmas break and took the opportunity to watch it again for the first time in many years. I was surprised to find myself humming along with the music – many of the songs I remembered from my childhood. I was also impressed by the visual effects which were pretty cutting edge for 1964. But what stood out for me, perhaps for the first time, were all the little words of advice and mini-lessons presented by the title character. I know I may be stretching things a bit, but I think Mary Poppins has a lot to teach us about how we should be using technology in our classrooms – if we take a little time to listen to what she has to say. My niece sharing a photo op with Mary Poppins at Disney World. If learning is medicine, why not make learning fun? Use the technology tools available to you and design engaging assignments that your students can get excited about. If you’re the kind of teacher that insists on a silent classroom, you may have to make some adjustments. Kids that are excited and having fun are rarely quiet. Better to worry about keeping them on task, rather than keeping them silent. Remember, adding fun to your lessons means more than just providing a fun reward at the end of a dull assignment. The learning process itself should be the reward. And don’t forget to save a spoonful of sugar for yourself too. If you’re bored with the lesson you are teaching, imagine what your students must be feeling! Make your lessons fun and interesting for yourself as well. Your enthusiasm is contagious and will infect the kids your teach. iPods in Education – Have a little fun yourself! 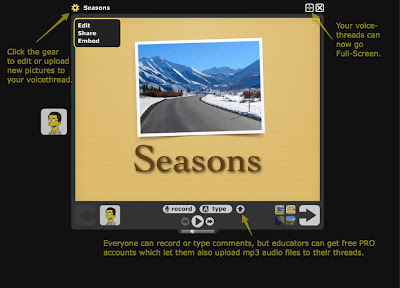 Use your iPod in your classroom, or try your hand at Podcasting. Be creative. Let your imagination go wild! By third grade we manage to stifle much of the creativity kids had when they started Kindergarten and replace it with repetition and routine. If you haven’t seen the video from Sir Ken Robinson yet, now would be a good time. (“Do Schools Kill Creativity?”) Provide your students with opportunities to imagine, invent, and create. Not only are these skills important for your students personally, according to Daniel Pink (“A Whole New Mind”) they are a vital part of the new economy. Currently our 5th grade students are using their online class discussion forum to imagine and write endings to some of the Harris Burdick mysteries and comment on what their classmates have done. Since the forum is protected, I can’t share their work publicly, but here is a link to the book to give you an idea of what it is all about. (The Mysteries of Harris Burdick by Chris Van Allsburg) This is a great book for getting students’ imaginations going. It’s fun to watch them mentally “jump” into the pictures as they create their stories here in the computer lab. Chimney sweeps are people too. Take time to learn about, and empathize with those who come from a place or culture different from your own. You may find you have more in common than you think. 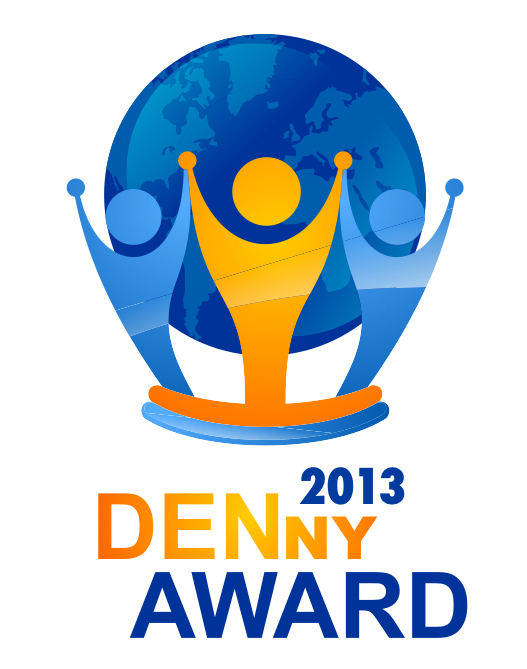 Consider a collaborative project with a class in another state or country. By sharing comments or contributing to a group project blog or wiki they may learn more than just the subject they are studying. Voicethread is another great tool for collaborative projects. Recently they’ve added some extra capabilities. You are no longer limited to voice comments. Now, if you have a webcam, you can leave video comments too. And you should too! How serious is your classroom? How serious are you? Laughter helps keep you healthy and should be a regular part of your day. (Laughter Therapy from NPR News) So when technology doesn’t work in your classroom, don’t freak out. Laugh about it. You’ll relieve the tension in your room and you may clear your head enough to come up with a fun alternative solution. In fact take a little time right now to laugh. I bet you can’t watch the following video with out at least cracking a smile. You’ll be fighting adults as you dash through the malls. Grabbing last minute gifts to put under the tree. Hoping maybe you might get that last Christmas Wii. Perhaps the best gifts have no paper or bow. They’re posted online, so at the press of a key. You’ve got holiday fun that’s both festive and free. 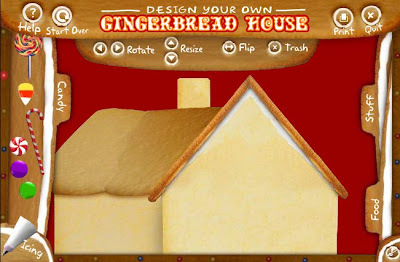 Take a minute to check out these holiday sites. I hope they give you and yours some joys and delights. 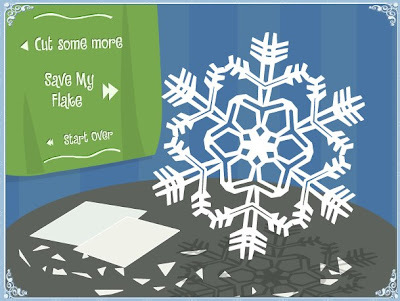 Remember back in school when you folded paper and cut out snowflakes? Here and online version without the mess. Thanks to fellow Twitterer mrmartinsclass. Note: I also spent way too much time playing that TimezAttack game he mentioned this morning. Use this great free site to create your own custom “e-cards”. 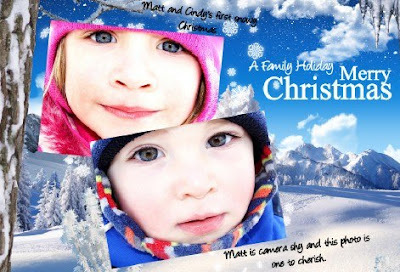 They’ve got some great Christmas templates to get you started. Just add your own photos, videos, or sounds. When you’re done, you can e-mail your family and friends a link to your scrapbook, embed it in your blog or wiki, or share it on MySpace or Facebook. Do you have any other fun Holiday sites to share? Please post a comment and let me know. Sorry if this post gets a little more technical than usual. Sometimes there just doesn’t seem to be a simple solution. I really like Microsoft PhotoStory. 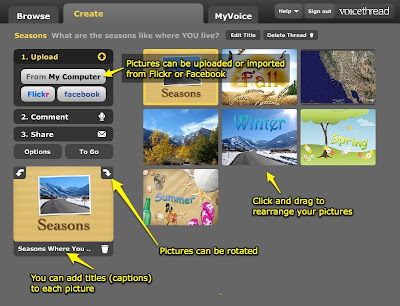 It’s a simple, easy tool that lets teachers and students create digital stories. What’s not simple is trying to play these stories on a Mac. This has become a problem because some of our teachers like to post their PhotoStory files on their class web site. Parents with Macs at home can’t view them. Flip4Mac is a free Quicktime plugin that allows the Mac Quicktime player to play Windows Media files (wmv’s) but for some reason it will not seem to play files created by PhotoStory. Real Player for Mac won’t play them either. After a some research I discovered something about the PhotoStory Video Codec. Apparently Microsoft PhotoStory 3 does NOT use the standard Windows Media Video (WMV) codec but a special codec developed for compressing still images: Windows Media Video 9 Image v2. One solution for playing these files on a Mac is to convert them to .mov files. I’ve used Zamzar and that seems to work but the file size increases. My 6.5MB Photostory file converted to a 16.2MB .mov file. Even though the file size more than doubles, the picture quality of the converted file doesn’t seem to be as good. Another solution is to use use Windows Media Encoder (another free download from Microsoft) to convert your PhotoStory file to a file that will play on Quicktime with the Flip4Mac plug-in. My 6.5MB photostory file converted to a 11.3MB wmv file that plays on my Mac. Using media encoder seems to give me a better quality conversion and lower file size than using Zamzar and converting to a .mov file. Now I just have to train our teachers to convert their completed video file before they post it online AND tell our Mac using parents that they need to download and install the Flip4Mac plug-in to view their class videos. As I said, sometimes the solution is not that simple. Right now my school is on the verge of a new technology adventure. Next fall we hope to be starting a one-to-one program in our sixth grade, expanding that program to our whole middle school over the next three years. Currently we’re hip deep in implementation meetings and discussions over how we’re going to present the program to parents and how we plan to train our teachers. One of the big concerns is how this new technology is (or isn’t) going to change the way we teach. If every student has a notebook computer and access to all the information and communication tools that it offers, then our teachers need to be able to design lessons and projects that engage the students and force them not only to find information, but to evaluate it, check it for accuracy and bias, and use it in a meaningful and creative way. We don’t want our teacher training to focus primarily on specific software packages or hardware tools without addressing ways in which they can be used to encourage students’ critical thinking and creativity in core curriculum areas. Otherwise these new notebooks become just a high-tech version of what we’ve always done. The machines just become nothing more than an electronic textbook. Instead of paper worksheets and tests, students will have electronic worksheets and tests and instead of writing their reports on paper they’ll be typing them in a word processor. If students aren’t given opportunities to be creative, the truly creative kids will quickly get over the novelty of the technology and start looking for the quickest, easiest ways possible to give the teacher what they want so they can “be done”. Cheating and plagiarizing begin to look really attractive. It’s confession time. We all have our dirty little secrets and this one has been weighing on my conscience for far too many years — since 5th grade, in fact. I want admit now and confess publicly that most, if not all, of my state report on Oregon was copied from the encyclopedia. It’s not something I’m proud of, but those words scribbled on my paper were not my own. They belonged to the writers and editors of the World Book Encyclopedia. Yes, it’s true. I am a plagiarist. After scanning the paper and noticing several words that even I would need a dictionary to define, I agreed to give it a try. I went to www.google.com, took the first six words from the student’s second paragraph, and typed them in the keyword search box, putting them in quotes to search for an exact phrase. I could have chosen the first paragraph, but I figured the student might have been smart enough to change the wording of the first sentence. When I clicked “Search”, the first web site on the list caught my eye. I clicked the link and viola! There it was, word for word. “We got him!” I whispered to myself, with the same exuberance of the Marines who captured Saddam Hussein. I hit the print button to get a hard copy of the evidence, but while I listened to the whir of the inkjet my mind went back to my fifth grade state report. It was so easy to prove that he had plagiarized. My excitement quickly evaporated and was replaced by guilt and remorse. In my defense, when I copied my report 27 years ago I had to actually read all the material and then write the information word for word. So I was learning about my state as I was copying, right? Using the Internet, this student didn’t even have to read the article. All he had to do was copy, paste, and print. I seriously doubt that any learning about the subject matter occurred at all. It probably took me over an hour to plagiarize my report. This student did it in a matter of minutes. Isn’t technology wonderful? If the whole point of letting our students use the Internet for educational research is that they actually learn about the subject, then maybe the traditional assignment to “write a report” is not the right approach. It makes plagiarism very tempting. If I can complete my assignment in a matter of minutes, why spend hours writing the same thing in my own words? Recently, I attended a Computer Using Educators conference where Ted McCain, a teacher and speaker for the Thornburg Center for Education offered a different, more creative alternative to report writing. Here is his example. What if, instead of having your students write a report on Japan, they take on the role of travel agents, with you as their client? You tell them you want to visit several places with historic significance, try eating various local delicacies, and learn about the major industries so your company can do business with them. Your students would then be assigned to write up a travel proposal with the information you requested, along with travel time and weather (so you know what clothes to pack). You could even ask them to suggest several hotels near some of the places you wish to visit and maybe list several different airlines that fly to your destination. Let’s see your students try to plagiarize an assignment like that. Not only will they learn about Japan, but they will gain “real world” research skills as well. Their task is specific, and their objectives are clear. It may take a little work on your part to create the assignment and develop a scoring rubric for their work, but I’m sure the results will be well worth the effort. Of course your assignment does not always have to be in the form of a written report. This spring our seventh graders were studying human anatomy. Rather than writing a report, they created Power Point presentations describing how to take care their pet liver, spleen, stomach, etc. In their presentations they explained what “tricks” their pet organ could do, why it is important, and what needs to be done in order to keep it healthy. At the end of the presentation they were also required to have a slide that listed the web pages they used for all their information and pictures. If they did not list the web site it came from, they could not use it. It’s amazing what the kids were able to accomplish because they were motivated and allowed to be creative. Best of all, the work they produced was their own, not something copied from a web page. If you are interested in learning more about this project, you can download a copy of the assignment sheet and scoring rubric (pet_organ-1.pdf). Thanks to Yvette Stuewe for allowing me to post her assignment sheet. It’s been said one of the best ways to keep from sinning is to avoid putting yourself in a situation where you might be tempted. By adding an aspect of creativity to your assignments, not only do you make it difficult for your students to plagiarize, you also provide them with an opportunity to exercise their own creativity. All the while, they are actually learning about the subject, not just copying information. Okay, I’m really becoming a fan of VoiceThread. In fact I’ll even be including it in a Digital Storytelling workshop I’m presenting later this month. Last week VoiceThread updated it’s site and added a few new features. One big difference is that there are now two versions of VoiceThread – the free version and the Pro version. Those of us who signed up for the free version are now limited to creating only 3 voicethreads with a maximum of 50 slides each. The pro version, which costs $29.95/year, gives you unlimited VoiceThreads and storage and also give you the ability to upload mp3 files for your comments. So pro users can, for example, record, mix, and edit their audio comments using something like Audacity to create more professional sounding presentations. Here’s the good news. K-12 educators can sign up for a special pro account for free. First you need to register for a free account and login. Next you find and click where it says “Go Pro”. At the bottom of the page will be a link that says “K-12 Educators Click Here”. That will take you to the educator application form. How is the new VoiceThread site different from the old one? Here’s a look at some of the changes. When you view a VoiceThread the screen looks a little different. If you have trouble reading my comments, click the image to make it larger. When uploading and rearranging pictures they’ve made things a little easier and given you a few more options. When you click SHARE to add friends to your VoiceThread account or invite friends to view or edit your presentations, you can now see each friend and their edit rights all on one screen. Note: The button to add new friends is now located at the very bottom of your friends list. It took me a little while to find this. When setting my sharing options, I like to set my VoiceThreads to “Public, no comments”. This allows anyone to see my presentations, but only those people I invite can comment or edit it. Since I generally trust those who I invite, I turn comment moderation off so when my friends comment, their comment is posted immediately. 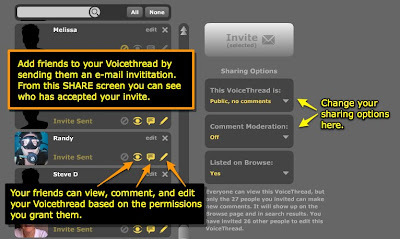 If you are working with students and concerned about privacy issues, you may want to keep your VoiceThread private and turn the moderation on so you can check what your students say before the rest of the class can hear it.